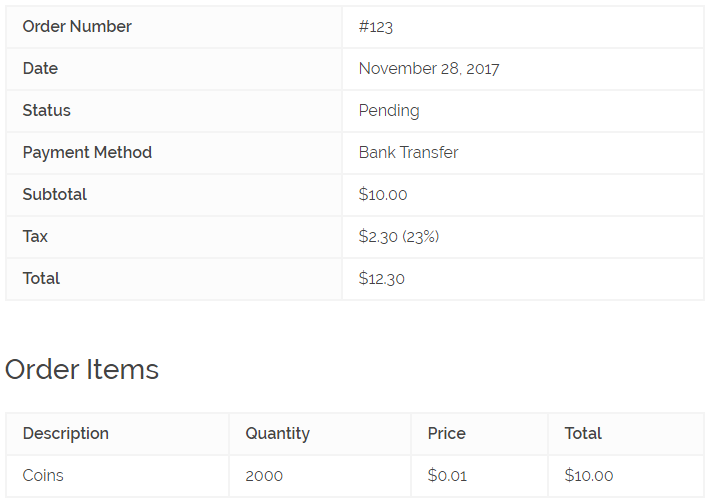 Render the purchase history of the current logged in user. This shortcode does not have any attribute. When user clicks on the “View Order Details”, the screen will show all the details of the purchase (no new page required). Important: Remember to configure the Purchase History Page with the page that contains this shortcode.